Use the BAPS System in your clinic and get reimbursed every time you use it! Don't be fooled by cheap plastic knock offs! There is only ONE BAPS System! Unique shaped air bladder utilizes the properties of a predictable and unpredictable environment. 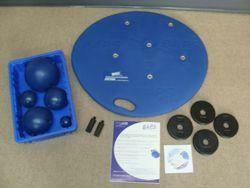 Can be utilized sitting, standing or in partial weight bearing positions. 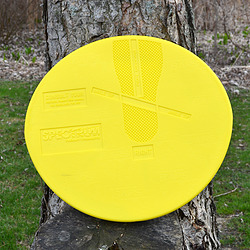 The air bladders’ bumpy top surface enhances circulation to the foot by stimulating pressure points. Air bladder pump and air gauge included to adjust for 0-7 pounds maximum pressure. The more air in the bladder the more predictable the movement. The less air can simulate an unstable, unpredictable walking environment. 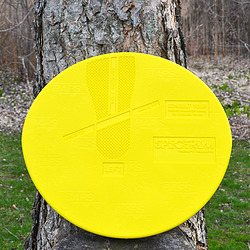 System can be used for touch toe or two foot surfing for symmetrical and asymmetrical motions. System can be used as a Warm Up or Cool Down protocol. 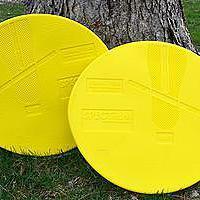 Bottom of platform balances on a non-skid rubber ball that will not harm flooring. It can be used on hardwood flooring, cement, carpet or tile. Durable and portable, weighs 9 pounds. 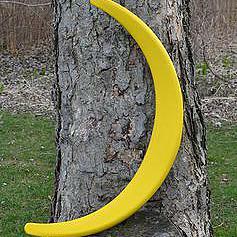 Take it with you on your treatment days or rent out to patients for home therapy use. 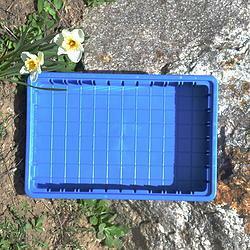 Clean with soap and water and an antibacterial wipe according to your clean standards OSHA protocol. The original anatomically designed Biomedical Ankle Platform System rehabilitation or sports conditioning for lower extremities. Platform structure with a designated foot placement system which rotates around and recreates a proportionate and progressive degree of abduction or adduction. Custom Accessories for individual needs. 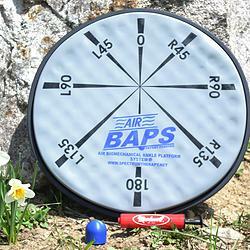 The Baps Board system is light weight durable and portable. The basic Sysytem includes progressively sized pivot balls for increasing amounts of ROM, two weight rods for weight placement on the Baps, five weight rod socket locations for specific weight training, clinical CD and 4 year Warranty. 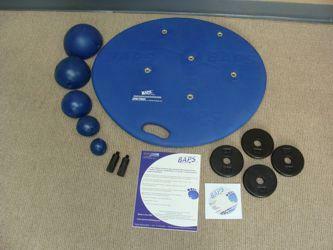 Complete Baps System comes with four 2.5lb disk weights. Biomechanically correct mini-BAPS for home rehabilitation. Right Biomechanically correct mini-BAPS for home rehabilitation. Left Biomechanically correct mini-BAPS for home rehabilitation. 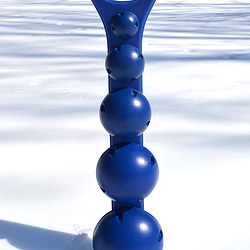 Levels one through five calibrated hemispherical ball attachments provide controlled rotational force to the ankle and lower extremities for maximum range of motion. 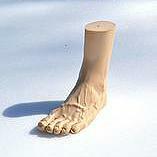 Fully articulation foot model for education and range of motion strategizing. Inhibits or enhances the rotation for specific planes of motion. It allows you to customize the BAPS range of motion to meet your clinical needs. 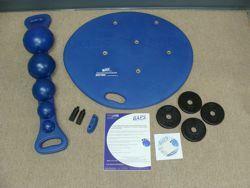 Beneficial for ACL or Achilles rehabilitations.